First of all, if you have never tried an XCOM game, do yourself a favor and check one out. Last year’s XCOM: Enemy Unknown was an amazing addition to the already beloved franchise, and is easily worth your time. 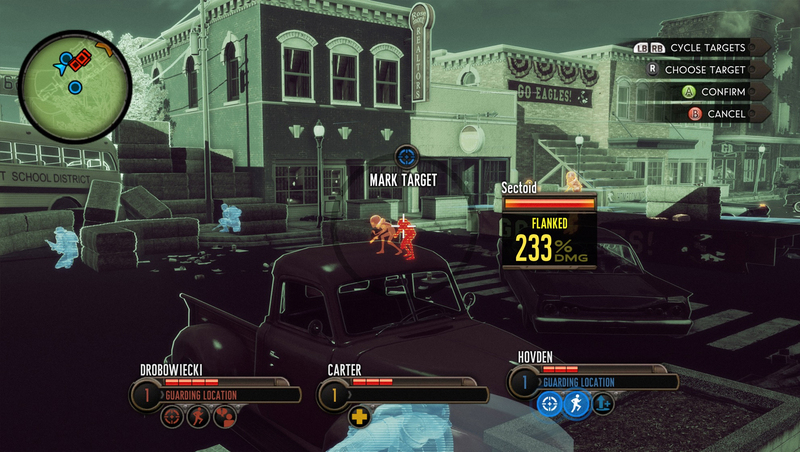 As with previous games in the series, it offered the same traits that has made XCOM a standout title among its competitors – character permadeath, squad personalization, and research and development, among others. 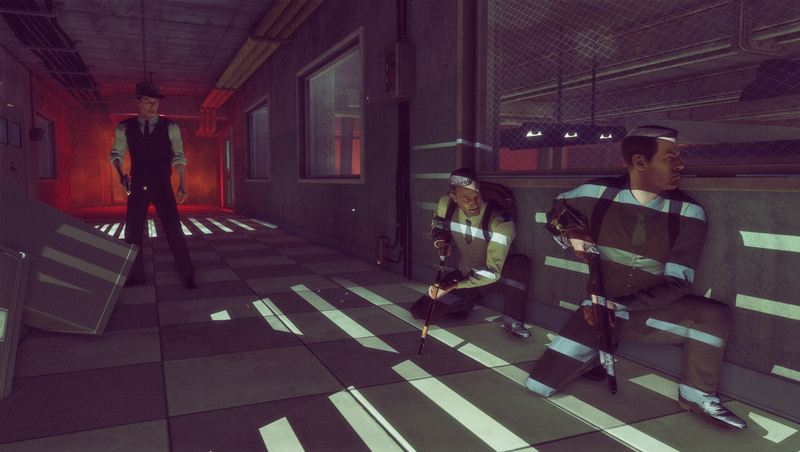 I am happy to report that, not only do these features survive in The Bureau: XCOM Declassified, they absolutely shine. At its core, this installation of XCOM has all of the components of previous titles in the series. You are responsible for a squad, you carry out various missions in the interest of the human race, and you conduct field reconnaissance of alien technology. But this time around, instead of being the head of the XCOM organization and managing resources and building up your research capabilities and weapon technologies, you are cast in the role of Chief Field Agent William Carter. 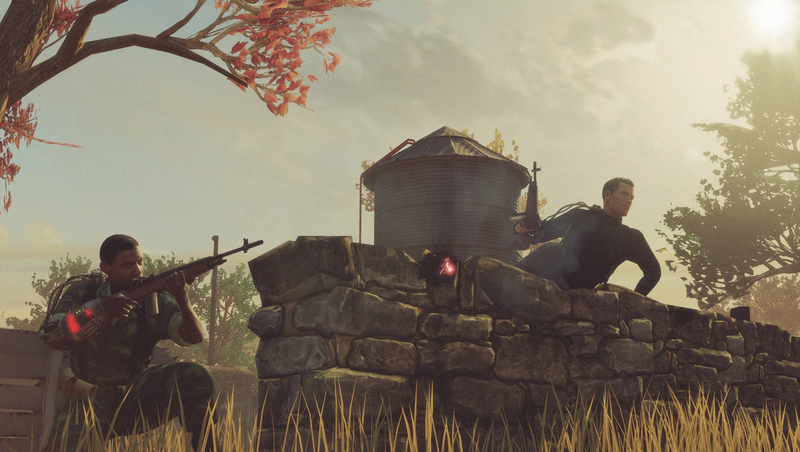 Those of you who have had the pleasure of playing an XCOM game before can think of him this way – Agent Carter is like your team leader (except not expendable) who goes on every mission. He controls the actions of all his squadmates just like in other XCOM games, just from a ground level view. 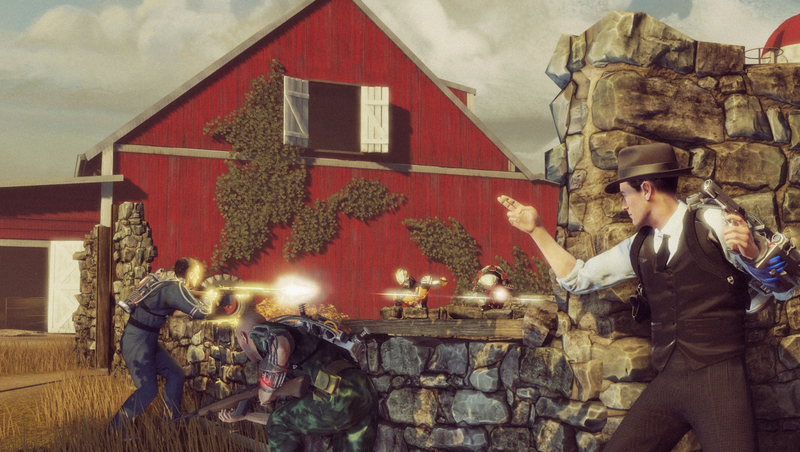 Combat as Agent Carter is an enjoyable experience, on par with other third-person shooters of this generation. The controls are tight and familiar, so any experienced shooter fan will be able to pick up this portion of gameplay pretty quickly. But you can’t survive this game without your squad. And if you go off wasting the alien hordes all by your lonesome, your squadmates will pay the ultimate price. And remember, if a member of your squad dies, they are dead forever, no matter how much time you have sunk into them. So it’s a good thing that controlling your squaddie’s is just as gratifying as playing as Carter, or else this might be a problem. 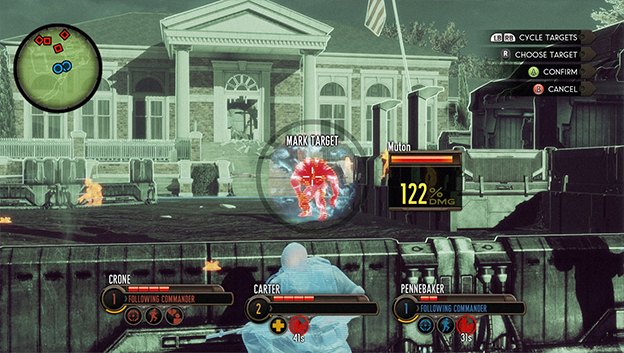 You control the actions of your squad through an easily accessible menu (on Xbox 360 it was the B button) and an on-screen wheel of character actions. These character actions range from simple movement to specialized combat actions like a critical shot or turret placement for different classes of squad members. Accessing the menu slows down time, but doesn’t stop it completely. So, even though you are making decisions and assigning tasks, the action doesn’t stop completely. This comes into play predominantly in major combat sequences, when beset upon by forces far outnumbering your own, so be aware of your situation at all times. While controlling your squad is a requirement, it never feels like a chore, and it is wholly rewarding to see the head pop off an alien with you pulling the trigger. But as any XCOM fan can tell you, it’s not all about the combat, and The Bureau: XCOM Declassified is no exception to that rule. 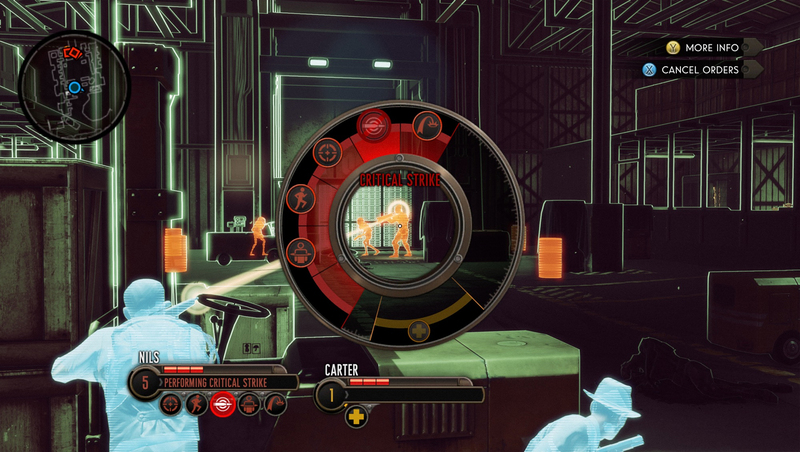 Instead of the normal resource management and economy of previous XCOM titles, this game charges headlong into a story, something that XCOM games are not particularly known for. Throughout the game you will be able to interact with other members of the XCOM Bureau, listen to various recordings that bring to light precious information, and attempt to uncover the truth about the alien invasion. This all occurs between missions in the XCOM main base, where you can also recruit new squaddies, unlock new weapons and tech, and keep an eye on the current national crisis. You can continue on your quest for the truth as long as you like, or until the XCOM Director calls you up to his office and tells you to get back to work. As far as the story goes, I won’t tell you exactly what happens, the details are too interesting to spoil here. 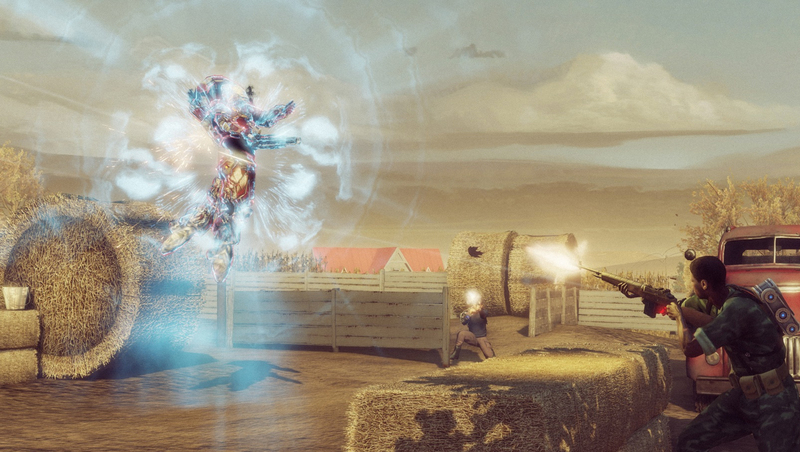 But a fleshed-out story was an exceedingly welcome addition to the XCOM mythos. But I’m sure you can gather that aliens attack and it’s your job to fight back. And fight back you will. One thing XCOM has never been about is outstanding visuals. 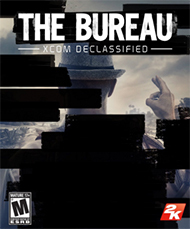 While The Bureau: XCOM Declassified is easily the most graphically capable title in the series, there are some issues with the overall. They mostly show their ugly head in cutscenes and story sequences – flickering textures, minor bouts of screen-tearing, and pixelated backgrounds tend to be the biggest offenders. 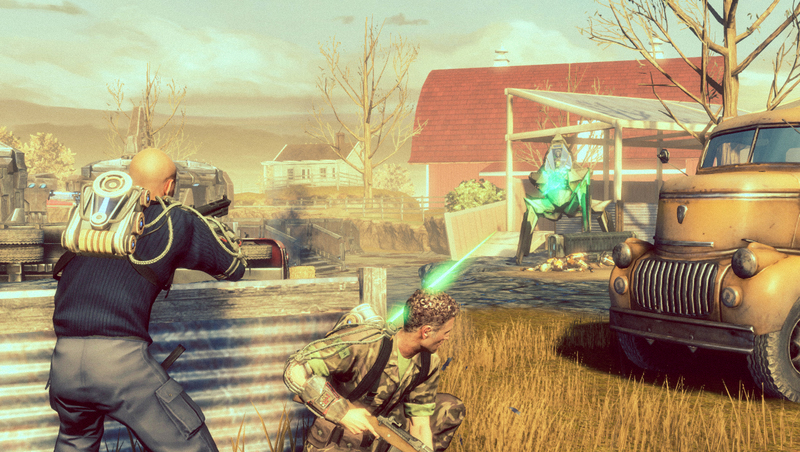 On the flipside, missions are graphically superb. Locales are varied, environmental effects work well and add to the ambience, and switching in and out of combat focus looks great. Character animations are clean and natural as well, delivering additional believability to the unbelievable circumstances within the game. 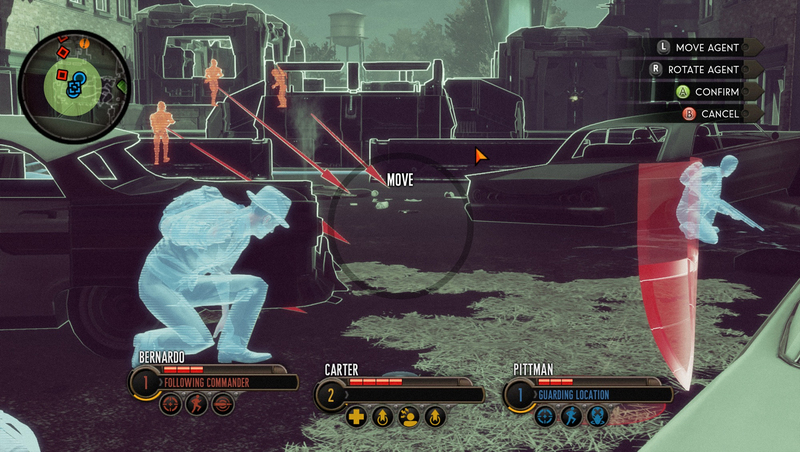 While it is by no means the prettiest game on the market, The Bureau: XCOM Declassified is a quantum leap forward from XCOM games past, even last year’s XCOM: Enemy Unknown. Typically, the character models in previous titles, are meant to be viewed from a distance, and look very blocky up-close. This game dispels that notion completely with detailed and customizable character models. 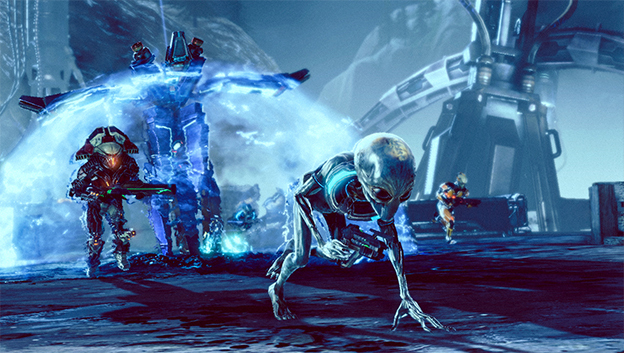 Environments were meant to be viewed from a distance as well, and suffered from the same pixilation as character models. In case you haven’t figured it out by now, The Bureau: XCOM Declassified looks pretty damn good, especially compared to its predecessors.